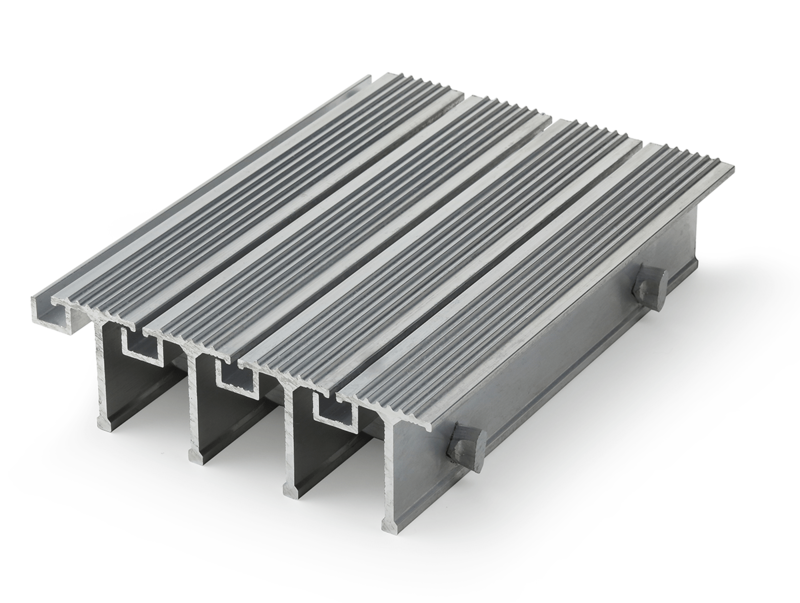 Precision engineered from aluminium, Neaco’s grille systems are A1 Fire Rated and fully compliant with Class 0 of Approved Document B ‘Fire Safety.’ They provide the ultimate combination of performance, safety and aesthetics for balcony flooring and terrace decking applications. 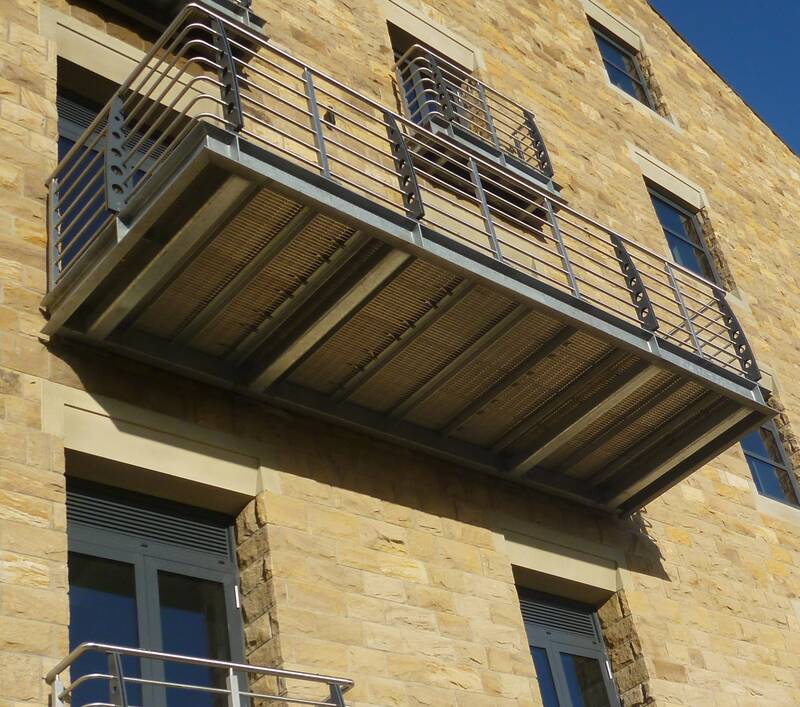 Utilising a combination of open and closed construction, Neaco has developed a range balcony flooring designs which maximise drainage capability and avoid the need for drainpipes and soffits, saving on cost whilst enabling a more minimalist appearance. They offer a wide range of benefits (detailed below) which provide major advantages in comparison to timber, GRP and composite decking. 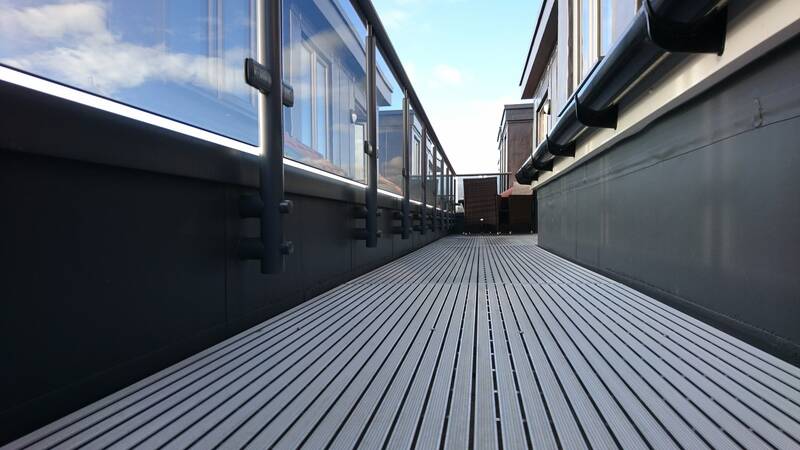 Neaco’s balcony flooring and decking systems can be supplied as standard or bespoke panels to fit onto existing balconies or as an integral part of Neaco’s all-in-one modular balcony solutions which also include our contemporary balustrade, toprails and glass panels. All systems provide fast installation without hot works such as welding. The products also come with our Lifetime Guarantee. Corrosive-free for maintenance-free durability, with a design life up 120+ years. Engineered for slip-resistance which can be further enhanced with optional serrated surface. Patented swage-locked construction between the bars enables high structural efficiency. Neatdek is our original balcony flooring design. It pioneered the concept of open and closed construction with an innovative 'T' bar profile with minimal gaps (widths of 5mm or 8mm) between bars. The system is available with a plain surface or a specially engineered anti-slip surface. It can also be cambered slightly to assist drainage. Neaco also provides an alternative version of Neatdek with inserts within the gaps between bars, providing a different system of drainage whilst still avoiding the need for a soffit. The grille is available with a plain surface or a specially engineered anti-slip surface. This innovative new profile is an adaptation of the original Neatdek T-bar design. Neatdek HW is a closed grille system with a generous contact area in flooring applications, yet allows water and other liquids to drain discreetly away via a series of integral channels between bars. 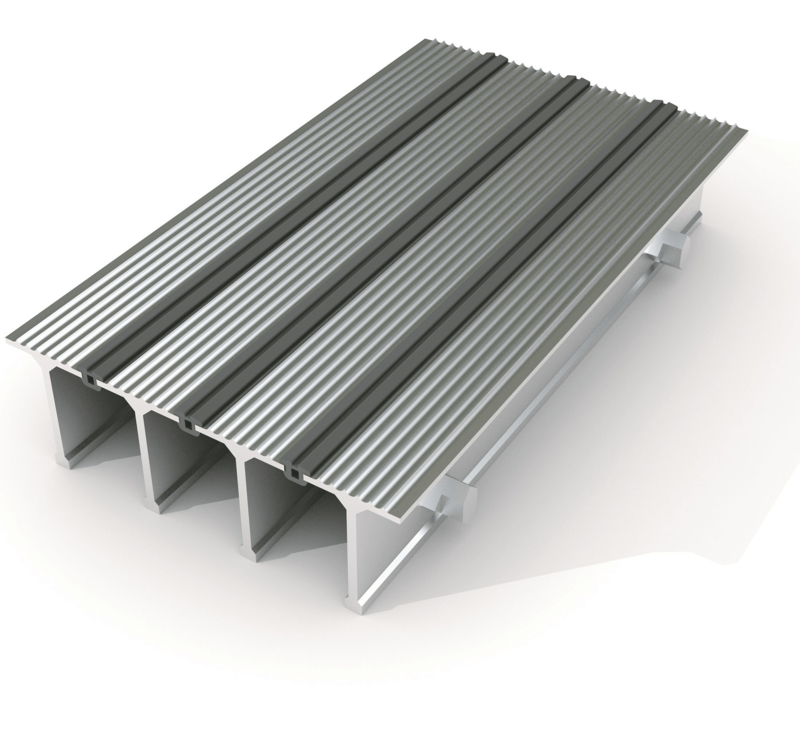 Neatdek HW is available with a longitudinally ribbed finish (with or without transverse serrations) and is an ideal solution for decking applications and elevated floors such as balconies. Developed from the original T-bar concept of our Neatdek system, this innovative grille design has a concealed-gap surface with discreet drainage. Its unique profile completely restricts views from above and below for maximum privacy. Neaco balcony flooring and decking features our patented swage-locked construction which provides high structural efficiency. The system is lightweight (1/3 of the weight of steel ) yet high in load-bearing capacity. With timber joists no longer allowed and metal joists a necessity, our Neatdek grilles have an outstanding strength-to-weight ratio and can accommodate spans between joists of up to 2m. 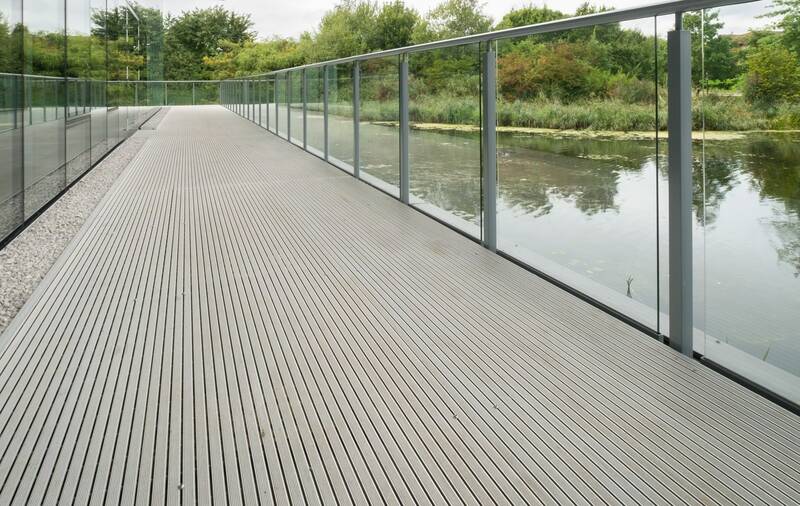 In comparison, wood and composite decking generally needs to be accommodated at 400mm centres. Aluminium is also corrosion resistant, so unlike other metals it will stay rust-free. Its maintenance-free qualities give it a clear advantage over wood decking which gets damaged by weathering and temperature fluctuations. Rain and moist atmospheric conditions are a major cause of decay and deterioration in wood. Regular surface treatment is required to protect the grain. There are no such worries with Neaco’s aluminium systems. Aluminium retains its colour extremely well, unlike GRP which is prone to bleaching with prolonged exposure to sunlight. Aluminium’s absence of moss and lichen is another clear advantage over timber and GRP. Wood is prone to the spread of spores and so is GRP as it contains elements of timber. 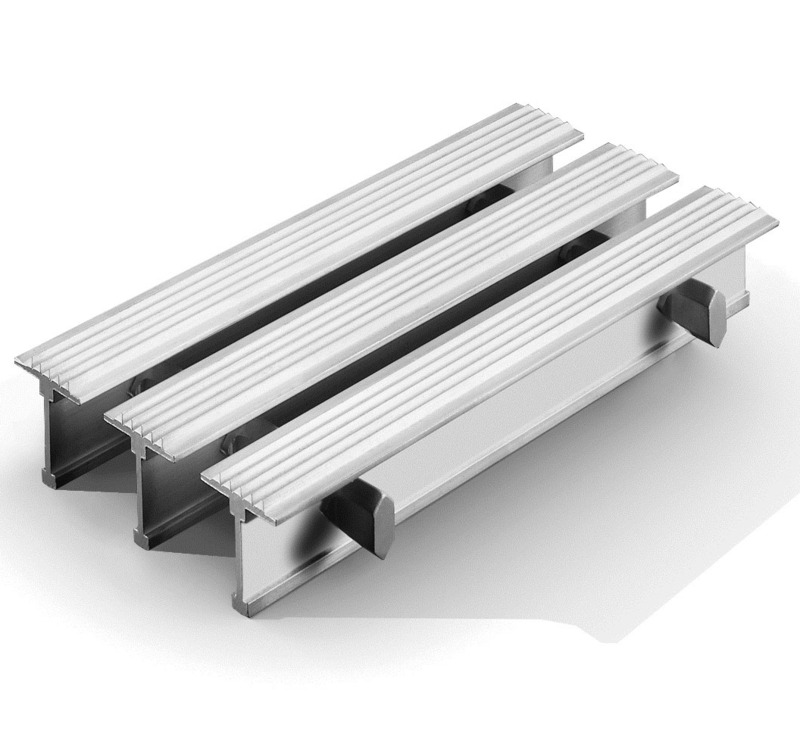 Aluminium’s fire resistance is superior to GRP, composite and timber decking. In the BS 476 Fire Test Series, it achieves the highest possible rating for Part 4 (Non-Combustibility test), Part 5 (Ignitibility Test), Part 6 (Fire Propagation Test) and Part 7 (Surface Spread of Flame Test). These performance levels make aluminium the stand-out choice of material to satisfy fire safety requirements for balconies. Aluminium also eliminates the need for timber joists, thereby significantly reducing fire risk. 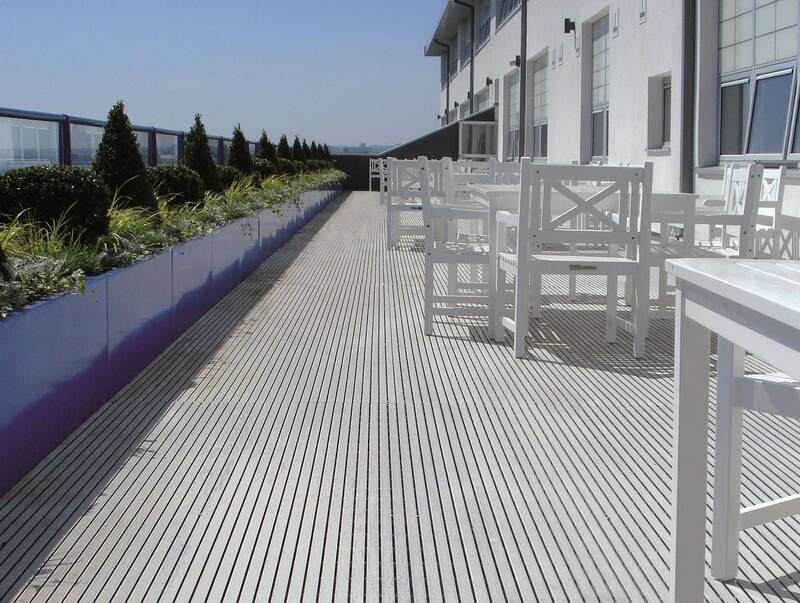 Balcony design modifications are increasingly being requested by house-building warranty providers concerned about fire risk – you can pre-empt these concerns by choosing Neaco’s aluminium balcony flooring. Aluminium’s natural attributes are ideal for sustainable development. It is non-toxic, corrosive-free and has an extremely high residual value. Aluminium is 100% recyclable with no downgrading of its properties and very little energy required for re-melting. It can be recycled over and over again without loss of performance - there is no difference in quality between virgin and recycled aluminium alloys. It can also be up-cycled if necessary. Its lightweight handling also saves on manpower. Unlike GRP, timber and composite, the working qualities of aluminium make for ease of fabrication. This has enabled Neaco’s design team to incorporate anti-slip surfaces into our decking systems. The resulting slip resistance is another quality which makes the products safer than GRP, composite and timber equivalents, which eventually become slippery underfoot. Our Neatdek 188 system has a gap-free surface which provides safe footing in all types of footwear, including stiletto heels. The T-bar profiles of Neaco’s balcony flooring systems provide greater privacy than other products on the market. Our Neatdek with inserts and Neatdek 188 systems provide total privacy by completely restricting views from above and below. 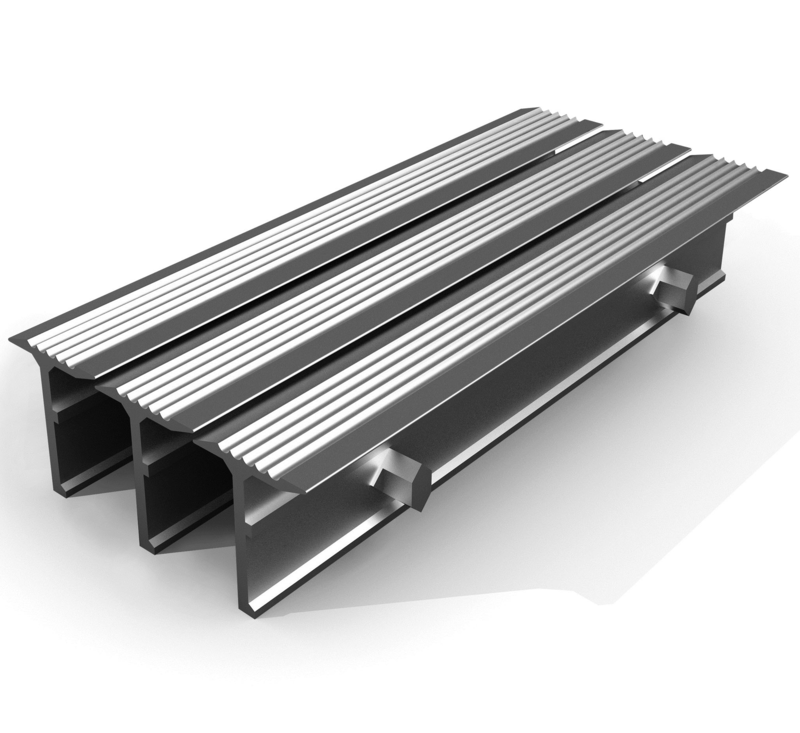 For regular decking and terrace applications, the T-bar profile provides excellent drainage and ventilation but there is no problem with litter falling through and building up underneath, and similarly there is no danger of accidentally dropping valuable items below.